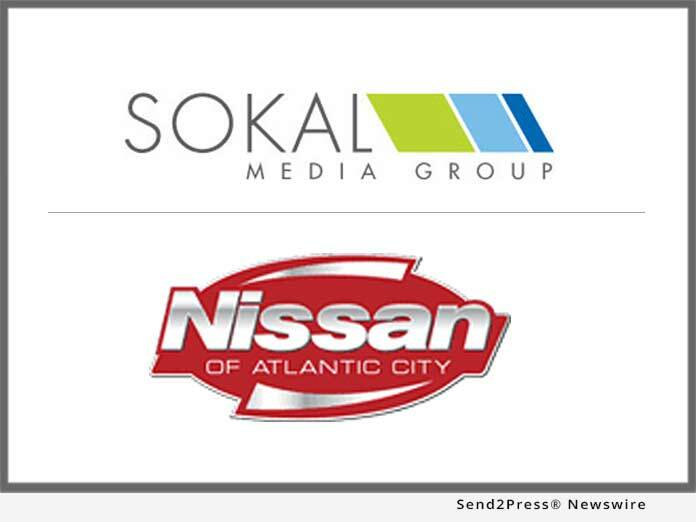 RALEIGH, N.C., Nov 07, 2018 (SEND2PRESS NEWSWIRE) -- Sokal Media Group signs Nissan of Atlantic City as agency of record. Beginning in mid-November 2018, Sokal Media Group will start a program to launch new websites for the dealership, create new advertising campaigns, and assist in many other areas of advertising. "Being one of the top automobile dealerships in Egg Harbor Township and South Jersey, we were ready to take the next step forward to get our name further in the limelight," said Dalton Watt, general sales manager for Nissan of Atlantic City. "We look forward to this partnership with Sokal Media Group in providing for our advertising needs." Nissan of Atlantic City offers affordable new and pre-owned vehicles at competitive prices. They are located on the Black Horse Pike in Egg Harbor Township, New Jersey. "It will be a wonderful opportunity to work with the outstanding staff at Nissan of Atlantic City," said Mark Sokal, CEO of Sokal Media Group. "Our highly creative team is looking forward to providing exceptional advertising for them and we commit to a continual high standard in this regard."